Tag Rugby is a non contact version of rugby which allows kids to run, pass, catch and most importantly have fun. It is a great introduction to the sport of rugby or just keeping fit and learning teamwork skills. Either train on a Sunday morning at home ground starting at 10:30 or playing games (home or away) against other clubs in the local area throughout the rugby season (typically from around early September until Early April). Any child is welcome to come along and give it a go!. Aims for the mini rugby teams at Moortown are quite simple really: want the kids to enjoy rugby and improve their skills as they get more experienced. Everyone gets to play. Some clubs run A sides with only the best players getting to play a match every week. Moortown don’t believe in doing that and ensure that everyone gets a fair and equal amount of game time. Come and get involved and play for the best and frendliest team around. All new players are welcome. Train on the pitches behind the club on Sunday mornings 10.00 am to 12.00 pm and on Thursday evenings 6.00 pm to 7.15 pm. Training runs every Sunday of the season starting early Sept, sessions usually start at 10.30. Will be delighted to welcome new or existing players back to the Memorial Ground. You don’t need to have any experience, just don’t mind getting muddy and have a gum shield please. The Rugby School of Excellence is a new Sports Academy, focusing primarily on core rugby skills that apply to both codes, based in North Leeds and headed up by Ex Great Britain International and Leeds Rhinos player Francis Cummins. 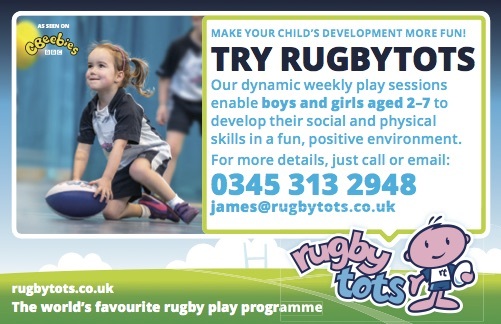 Providing professional yet fun rugby skills coaching to boys and girls aged 7-14 years.